1936 1:2,500 OS map. 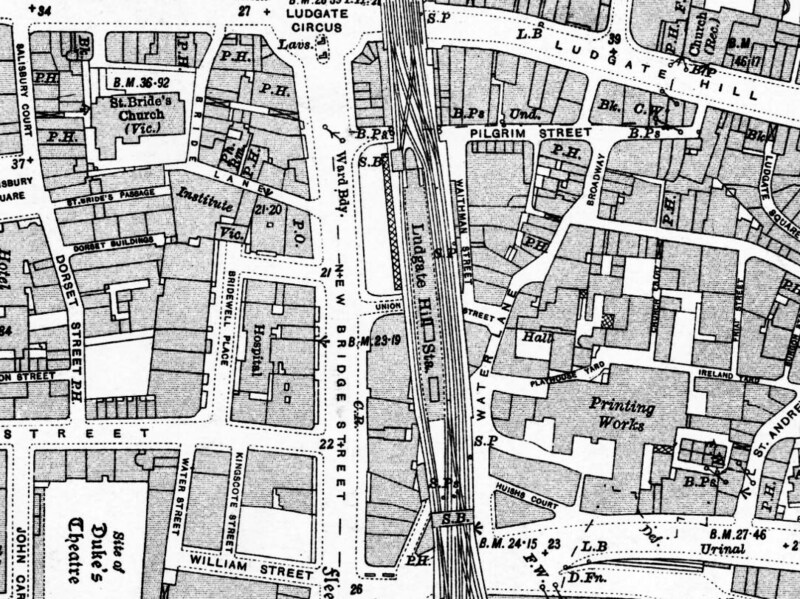 Although this map was published in 1936, 7 years after closure it is based on a 1914 survey. The station is shown after rebuilding with a single island platform with two buildings towards the south end. The station forecourt is shown between Union Street and Pilgrim Street with a canopy in front of the entrance for weather protection. The south signal box is shown on a gantry over the formation to the south of the station, the north box is on the north side of the platform at the north end of the station.